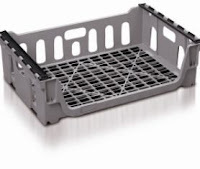 Plastic crates are now integral part of material handling in any bakery plant . Wide applications can be found for plastic crates from storage to transportation . Metallic crates were made up of metallic strips which used get damaged easily and a team of welders were to be kept to repair these metallic crates .Products were damaged frequently while transporting resulting in market returns and defective. Bread could be arranged in different configuration in horizontal and vertical way . 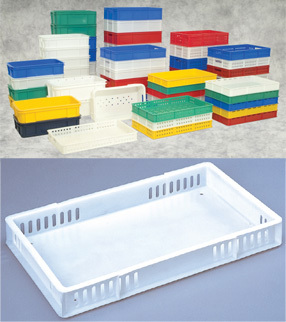 These plastic crates can be stacked easily even transported through conveyors. These can be used for a longer period and are cost effective in a sense that damages in transit to the product and crates itself are minimal . Hygienic ie It can be cleaned easily .